Professor Abba Abubakar Haladu is the Executive Secretary of the National Commission for Mass Literacy, Adult and Non-Formal Education (NMEC). In this interview with ABDUSSALAM AMOO, he speaks on how his agency has been promoting literacy in Nigeria. What particularly has your agency done so far in reducing illiteracy? We are in the forefront of promoting literacy among all Nigerians. We have been trying to review all the necessary learning materials. 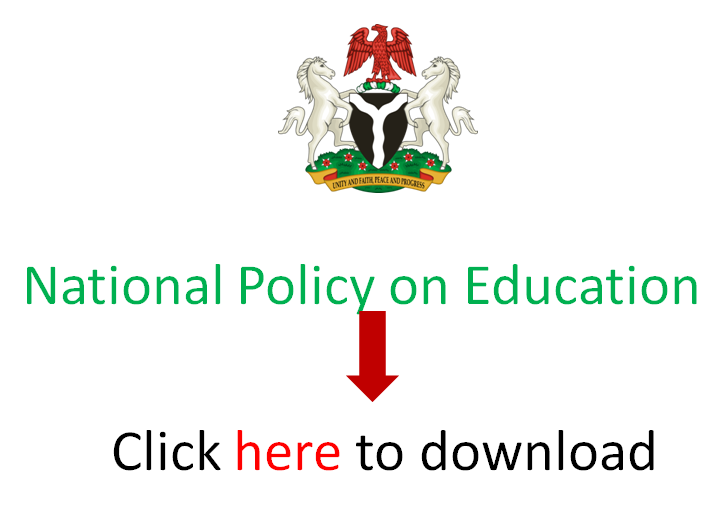 We have just developed a policy guideline for the sector, which had been approved by the National Council for Education about three months ago. So, we are doing a lot bearing into consideration the responsibility we have to ensure the provision of literacy education to all Nigerians. The previous administration did some things for the Almajiris in the North. What is the current administration doing towards taking the Almajiri away from the streets? For quite some times, not only at the level of the federal government but also at the level of the state government is a lot being done on the issue of the Almajiri. The issue is that of lack of sufficient access to basic education, and of course, cultural beliefs. A lot of efforts are being put in place in the quest for integration so that those who are attending the Qur’anic schools can also be reached with the Western form of education, while efforts are being made to ensure that access is provided for all children. At that, both the immediate past and the current administration have done a lot in this respect. The United Nations International Children Emergency Fund (UNICEF), in particular, is pursuing a policy that would ensure the participation of all stakeholders. The Federal Government, state governments and all other stakeholders are involved in the effort to educate the Almajiri population. Besides the Almajiris of the North, we also have out-of-school children in the south too. (Cuts in) Yes, like I told you, it is a comprehensive programme that will actually reach all the necessary clients in the sector, viz; out-of-school children, out-of-school boys, the Almajiri, the migrant Fulani and fishermen, the women in purdah, the low-skilled artisans, amongst others. So, there are a large number of clients that are being reached through the national mass literacy programme. How is your agency working on training the trainers? In particular, in 2015, there was the Revitalising Adult and Youth Literacy Programme (RAYLP) that was anchored by the United Nations Education Scientific and Cultural Organisation (UNESCO). Trainings were conducted for trainers as well as facilitators. I could recall, about four thousand, eight hundred (4,800) facilitators were trained. It is a continuous exercise. The commission has recently conducted trainings on the reflective approach and the Literacy by Radio programme. These trainings are actually continuous. So, we are doing a lot in this area to ensure that those who will teach or train others are also adequately trained. Kindly tell us more about the Literacy by Radio programme. The Literacy by Radio programme is an approach of reaching the non-literate via the use of the radio, where lessons are recorded and aired on radio stations, and the learners in their own homes or other locations listen to the programmes helped by the primer. Of course, face-to-face meeting is conducted twice in a week. So, it has the capacity and advantage of reaching a large number of learners that are spread across geographical areas in the country. It is an approach of literacy delivery, which is also being vigorously being pursued by the commission. What radio stations currently air these literacy programmes? Currently, the programme is aired on federal radio stations in ten selected pilot states. But eventually, it will be rolled out across the country. Some of the states include; Ebonyi, Ogun, Borno, Kano, and the Federal Capital Territory, among others spread across the country.